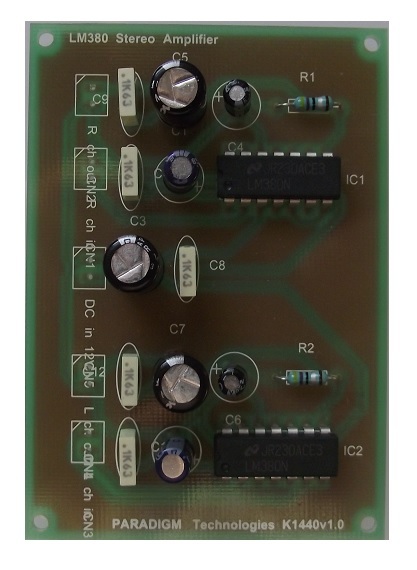 This kit uses LM380 audio power amplifiers and contains two identical amplifiers capable of delivering a gain internally fixed at 34 dB with a maximum peak current capability of 1.3A. This kit uses the 14-Pin PDIP to allow a greater max. package dissipation of 8.3W. Paradigm Technologies have designed a fully symmetrical PCB around theLM380 chipsets to ensure that maximum performance is obtained.